Tammy’s Tangent! We aint goin’ nowhere!!!! The Band was conceived in October of 2007. In the short time that they have been playing in the Grand Strand Club scene they have turned a lot of heads and have been booked back at every single club that they have played.This no small feat to accomplish in a very competitive market. 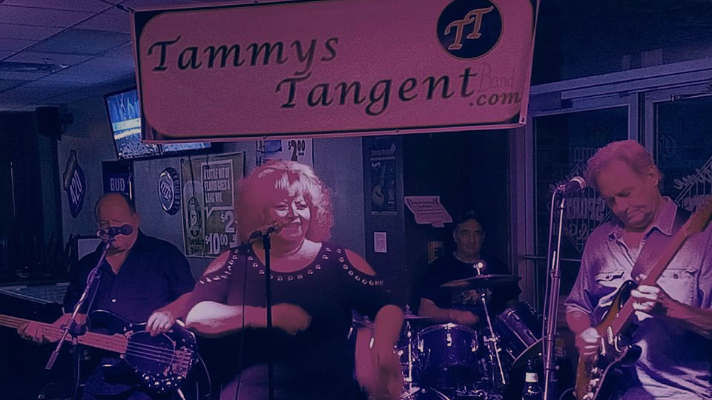 The Band is unique in many ways, Tammy’s power house vocals are the signature of the band laid over top of a strong rhythm section, good harmonies and a song list that is so unique that no band in the area can touch!